The best reason for not restructuring the constitutional arrangements of the United Kingdom is that while everything is working well it is best to leave it alone. In a number of ways, the Brexit process has already shown that everything is not working well, and that this is therefore a good time to consider the UK’s constitution, to reassert and strengthen the features that are working well and to repair the weaknesses. Even at this early stage in the process, Brexit has exposed tensions and vulnerabilities in three ways. 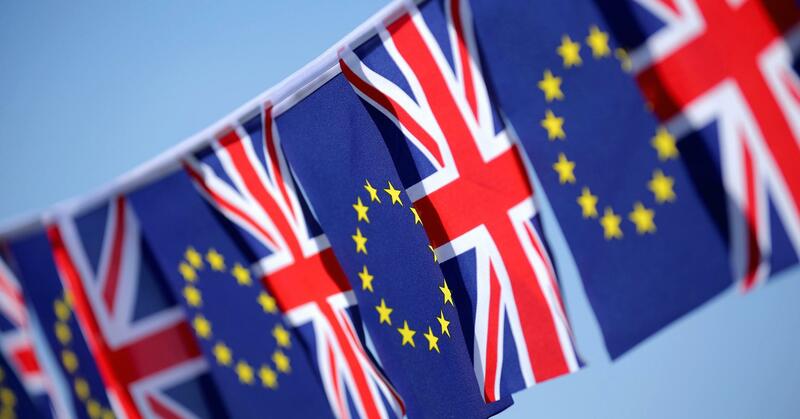 First, the different voting patterns in the Brexit referendum in different parts of the United Kingdom have suggested that different parts may have different aspirations for membership of, or at least for any future relationship with, the European Union. As at present constituted, there is little or no room for individual arrangements between parts of the United Kingdom and the European Union. Although the special arrangements for Gibraltar have functioned reasonably effectively for the most part, that model is unlikely to satisfy all parts of the United Kingdom in a post-Brexit world, and constitutional flexibility within the United Kingdom is likely to be necessary in order to give negotiating flexibility with the European Union, and, indeed for the purposes of other international relationships. Secondly, the simple fact that Brexit is the most significant constitutional change within the United Kingdom for several decades has brought constitutional affairs onto the radar of many citizens for whom it was previously something that was both hidden and that they were happy to keep hidden. While the UK constitution is in the garage for necessary work to deliver Brexit in accordance with the result of the referendum, it makes sense to look around the engine for any other unexplained knocks and noises that could sensibly be dealt with while the constitution is in for service. Third, a particular knocking noise that has coincidently emerged during the process is the unsatisfactory lack of clarity about the role of the prerogative in relation to constitutional matters, that has been exposed as a result of the judgement of the Supreme Court in the Miller case. Nobody, Supreme Court judges included, is likely to regard it as satisfactory that we have emerged from that litigation both with a significant split in the Supreme Court itself as to the nature of the distribution of power within our constitution, and with significant lack of clarity having been identified even by the majority in relation to the modern role of prerogative power for constitutional purposes. The CRG had thought for some time before Brexit that our constitution was under sufficient pressure for it to be in urgent need of thorough examination and partial restructuring. In particular, the relatively narrow result in the first Scottish referendum on independence was enough to suggest that the case for the retention of the United Kingdom required to be strengthened by an examination of our constitutional arrangements. It was thought important, in particular, that in continuing discussions about the future of Scotland as part of the United Kingdom, Scots voters, and indeed other citizens, would have at least one option other than being forced to choose between a status quo that is increasingly shaky, and complete independence. Brexit aside, the CRG started from a position that a process of devolution was inevitable to meet the growing aspirations of different parts of the United Kingdom to organise their own affairs, but in its present form is doomed to frustrate and disappoint all parts of the United Kingdom. Put simply, the problem with devolution at present is that it has the appearance of giving back to the different parts of the United Kingdom an increasing share of their own sovereignty cake, without recognising that the cake actually belongs to them in the first place. It should be for them to decide which slices to share with other members of the Union for the purposes of enhancing the effectiveness of the whole. “a renewed constitutional form for the peoples of England, Scotland, Wales and Northern Ireland to continue to join together to form the United Kingdom; and to affirm that the peoples of those nations and parts have chosen to continue to pool their sovereignty for specified purposes, and to provide universal citizenship with social and economic rights”. An essentially federal structure of this kind has a number of possible advantages in terms of flexibility, some of which relate to Brexit and some of which are of more general application. Most importantly in relation to Brexit, the draft Act of Union would assert the existence of a number of separate entities within the United Kingdom and would make it easier for them in a number of ways both to be perceived as capable of independent decision-making in certain areas and to operate the mechanics of distinct relationships with the European Union or with other international groupings. A new Act of Union could in a number of different ways provide the certainty that is needed if we are going to survive the process of Brexit, by restating those parts of the Constitution which require additional clarity and by providing clear mechanics for different outcomes in relation to Brexit to be achieved in relation to different parts of the United Kingdom. The CRG’s draft Act of Union is careful to confine itself to those aspects of the constitution that need to be clarified or reformed, and not to reinvent the wheel of those parts of the constitution which are working perfectly well; perhaps most obviously, the structure of the courts of the United Kingdom. The draft Act of Union also takes the opportunity to address aspects of the constitution which although not related to Brexit, are clearly not functioning as they should and contribute to the instability of the whole in their present form. The first example of an issue that needs resolving addressed by the draft Act of Union is the House of Lords. Almost nobody, including members of the House of Lords, will claim that in its present form it is fit for purpose or functioning appropriately. Some would choose to abolish it outright; others would choose to restructure it radically, by making it wholly or partly elected. The draft Act of Union offers two possible models for the future of the House of Lords: complete abolition, and restructuring as an elected chamber with an appointed component. Clearly there are a very wide range of alternative options in relation to the future of the House of Lords, but the most important purpose of the draft Act of Union in this respect is to demonstrate that it is possible within a relatively tight compass to achieve change as part of the constitutional reaction to Brexit and to the underlying instability of the United Kingdom. The other issue on which the draft Act of Union offers two possible models is the governance of England. For many, the absence of an English Parliament is both a continual inequality in our present devolution arrangements and an insult to the majority of citizens of the United Kingdom who live in England. To others, an English Parliament would be an expensive distraction that would not significantly improve the existing governance arrangements for England, and that would create as many anomalies and difficulties as it resolved. The draft Act of Union therefore provides an option of establishing an English Parliament; but it also provides an option whereby areas within England, based on the city deals already begun in certain areas, could acquire significant elements of self-governance in relation to matters devolved in Scotland, Wales and Northern Ireland, without requiring the establishment of a single central Parliament for the whole of England. Again, there is a wide range of possible options and the purpose of the draft is to show that the two extremes, and a range of options in between, are capable of being achieved through an overarching piece of constitutional legislation, followed by a number of lower-level statutes and regulations as necessary to implement the broad constitutional principle. Other key features of the draft Act of Union include new principles for the foundation of the Union, for the collection and distribution of central taxation and for public borrowing. The draft Act of Union is intended to command the respect of a significant majority of citizens in the United Kingdom, and in each part of the United Kingdom. For that reason, it includes a requirement that once passed by Parliament it can be brought into force only by referendum, securing a majority in the country overall and separately in each part. Part of the message of the Brexit referendum is that when people vote without knowing all the implications of the result, there is considerable scope for confusion and recrimination: citizens voting in the commencement referendum for the Act of Union will have a complete text in front of them and will know with certainty exactly what they are adopting. The CRG is an unusually broad cross-party alliance of people from all political parties and from none. The one thing that combines the membership of the group is a desire not to allow the United Kingdom to fall apart as a result of the failure to propose a robust alternative to either the status quo or immediate dissolution of the Union. The draft Act of Union shows both for the purposes of meeting the challenges of Brexit and for more general purposes, that a relatively contained structural restatement of certain constitutional principles could put us on a very solid basis for maintaining and improving the Union for the foreseeable future. Daniel Greenberg was previously Parliamentary Counsel from 1991 to 2010, is the editor or author of a number of works on legislation, and is Counsel for Domestic Legislation in the House of Commons. This article was originally published in BrexitCentral. You can access the article here.